People say the Heavyweight division is dead in America. But with prospects like Seth Michell and Bryant Jennings dominating top opposition, I'd say the status of American heavyweights is rapidly improving. Jennings was unknown until last weekend, he took a fight against Siarhei Liakhovich on short notice but he was already in tremendous shape. Liakhovich was expected to beat the untested American, but Jennings used a combination of speed, lateral movement and good punch accuracy to dominate in such a way that Liakhovich's corner threw in the towel. 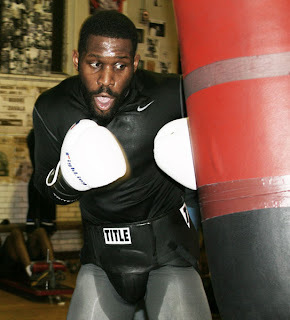 Jennings showed us he is a very skilful heavyweight, he is very active and always in fighting condition. He has a lot of potential, and I think he is one of the best heavyweight prospects in America and worldwide. If you haven't watched Bryant Jennings fight then take a look at this video, it's the final part of his fight with Siarhei Liakhovich, for those of you who have already seen Bryant Jennings in action, are you impressed?